Troy Baker is the new Nolan North. This post isn’t about him, but his voice performances in The Last of Us, Persona 4, Bioshock Infinite, and now Middle Earth: Shadow of Mordor evince Baker’s broad range. Bravo. Credit as well to Andy Serkis, who reprises his role as Gollum with the same dedication I’ve come to expect from him. More to the point – Warner Brothers Interactive deliver a top-notch Arkham clone set in the realm of Middle Earth. The combat, stealth, character progression, and open-world setting have all been lifted from the Batman universe and given a Tolkien treatment, so any fans of the Arkham games should be right at home with Shadow of Mordor. 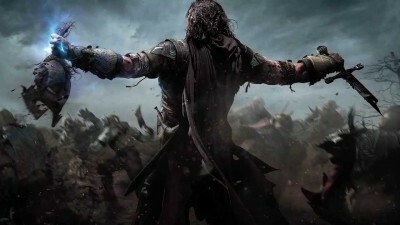 Shadow of Mordor tells an original story set between The Hobbit and The Lord of the Rings (you may note the Lord of the Rings moniker is left out of the game’s title). Musical queues from Howard Shore’s film score, and narration from a Cate Blanchette sound-alike drive home the connection between the films and the game. Shadow brought my excitement to dizzying heights from the first minute, though others who aren’t as indoctrinated in the cult of Tolkien might find it less enamoring. At Shadow’s core lies the conflict between Talion, a Ranger of Gondor possessed by the amnesiac spirit of an ancient Elf Lord, and the brutish commanders of Sauron’s burgeoning army. The orc captains are vilified so effectively, that offing one of your nemeses is viscerally satisfying. Each has their own strengths and weaknesses to be considered, so entering combat without preparation is often fatal. And losses come at a cost – your enemies grow stronger, raising in the ranks, gathering new troops, and becoming more difficult to defeat in combat. An enemy commander, engaged without proper thought, can soon become a powerful foe. They are quick to remind you of your failings; taunting you, and bearing the scars from past encounters while bolstered by the trappings of their new rank. Shadow excels at contextualizing the player’s actions. The gameplay is smarter than ‘Go to Point A and Kill orc X’ – rather, each victory provides you with resources to aid you against the next enemy. Talion adds to the chaos in Sauron’s already treacherous ranks – enemy commanders vie for power by executing one another of their own accord. Your intrusion upon such events can tip the balance of power, upsetting the stronger contenders or even seizing the advantage to dispatch multiple officers at once. Weakened enemies may be persuaded by Talion into divulging intel on other orc captains. Enemy soldiers and officers can also be enchanted and forced into your service; seeing an ensorcelled commander slay his comrades is almost as satisfying as doing so yourself. 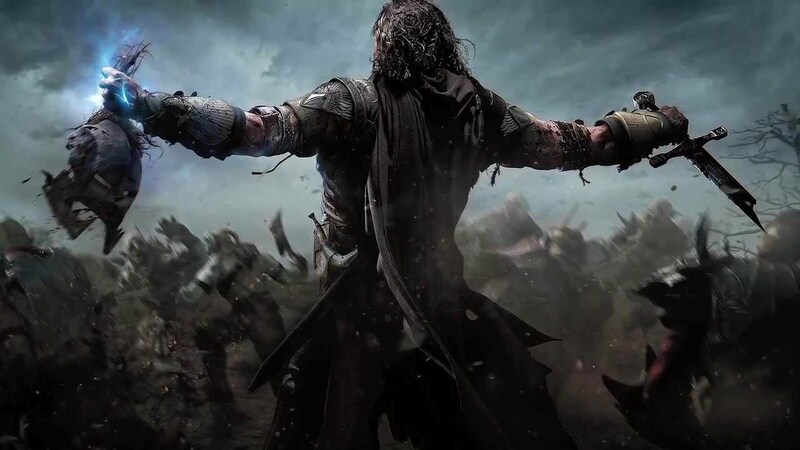 Talion has a utility belt worth of tools at his disposal – something Shadow is keen to reinforce through its side missions and optional objectives. These are presented less like tutorials and more like conspicuous hints, as though the game were saying: ‘This battle against a mace-wielding general will be much simpler if you take hold of an orc to shield yourself from his concussive attacks. You’ll notice we’ve made that an optional objective in this mission.’ How convenient! It may have been more satisfying if, instead, the bonus objectives made the missions more difficult – this was the case in a minority of the missions, but I never found myself hard pressed to complete these challenges. The grunts of Sauron’s army seem to suffer from congenital nearsightedness: they excel at spotting enemies in a short, narrow cone in front of themselves, but Talion could stand abreast of a company of orcs and go unseen. They also have an inconsistent sense of object permanence: at times, Talion can avoid detection by darting in and out of an enemy’s line of sight before they register his presence. Alternatively, some enemies will sound the alarm the instant Talion so much as casts a shadow at them. This maybe a purposeful design point – but as a veteran stealth gamer I would rather the enemy have more consistent, less abusable AI. And, given Talion’s skill set, it is quite easy to exploit the stealth mechanics in Shadow. While Shadow offers the player other ways to surreptitiously dispatch enemies in their strongholds, none is as effective as simply luring or tailing the hapless Orcs to isolation, and picking them off one or two at a time. This issue is compounded by the weight Shadow places on experience rewards: stealth kills are worth several times more experience than melee or ranged combat kills. It seems counter-intuitive to put such emphasis on using stealth to exploit the enemies’ sub-par AI, when in my opinion combat is more dynamic and engaging. Shadow of Mordor does what most single player games have failed to do: keep me engaged from start to finish. It delivers moments of genuine triumph – of catharsis, even. Losing to an enemy multiple times and seeing him grow stronger fostered a sense of dread more so than rivalry. Toppling those fears brought both release and a feeling of achievement. I would recommend Middle Earth: Shadow of Mordor to any fan of the Arkham series, or anyone looking for a solid hack and slash action game. And I know; they were Uruk-hai, not Orcs. ‘Able to move in sunlight, at speed’ and such. You get 100 Tolkien points.